Gentle and soft silicone adhesive, minimising pain during dressing change and removal. High absorbency and exudate management capabilities for minimal risk of maceration. Breathable and waterproof film backing prevents virus, bacteria and liquid penetration. Highly conformable dressing that maintains a moist wound environment ensuring comfort. Suitable under compression bandaging and can be used in combination with gel treatment. 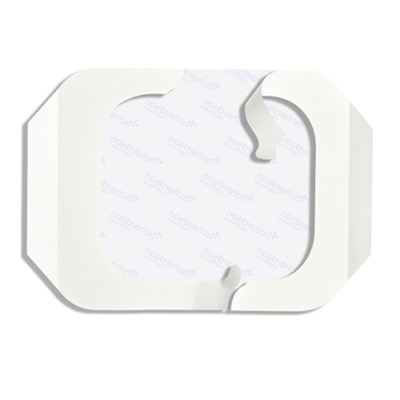 Available in a wide range of sizes and may be cut to fit all wound types and needs. C-Foam Silicone is a polyurethane foam dressing with high absorbency and a gentle adhesive silicone contact layer indicated for use on moderate to highly exuding chronic and acute wounds. The soft, conformable hydrocellular formation provides excellent exudate management capabilities, optimising healing conditions with a maintained moist wound environment. A bacterial and viral barrier is also created by the waterproof, vapour permeable film backing, minimising the risk of leakage, maceration and increasing the wear-time. The advance silicone adhesive layer provides secure fastening of the dressing but allows for pain-free removal with minimised damage to the wound site and surrounding skin. C-Foam Silicone is available in a wide range of sizes to suit all your wound care needs.